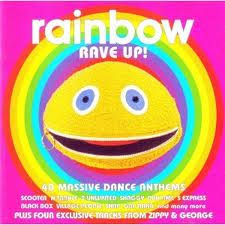 1: The Boy can fall asleep while listening to 'Rainbow Rave Up' and it's '40 Massive Dance Anthems' full volume on his CD Player but 'Bedtime With The Mr Men' will having him bouncing off the walls for hours. 3: The first time your teenager is late home after a date with her new boyfriend, you DO start chewing the carpet. Fact.